Smaller than realized. Colors are very muted. Nice frames. For the first time delivery was lost and had to put an inquiry on this order. Customer service is excellent. Kept the prints even though the colors are very soft they are the colors I needed for this update. These pictures are really nice. The colors are as pictured, and ideal for what I needed it for. Framed nicely. Would recommend to others. This picture set is beautiful but I returned it because I was looking for a set that had a more silver colored frame. This one, although described as silver framed, is more of a dark wood color with streaks of silver. Very pretty but didn't work for me. Nice pictures and go with the canvas art of the same design. 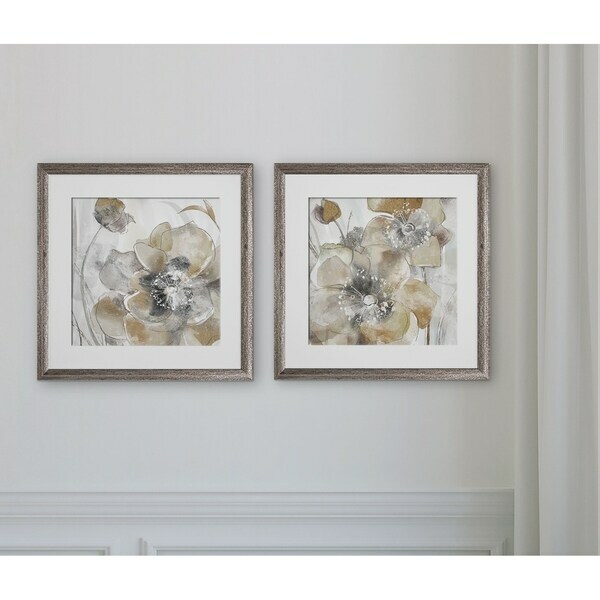 I purchased these pictures for my bedroom since I had already received the canvas pictures of the same design. They go very well together and fit the theme. The frames are light in color but work fine with everything else. These pictures go well with the canvas art of the same theme. 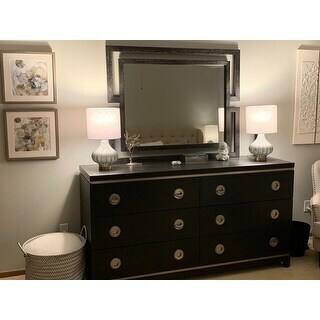 A nice pair that added to the elegant look in my bedroom. "What is the measurements of this pictures including the frame?"